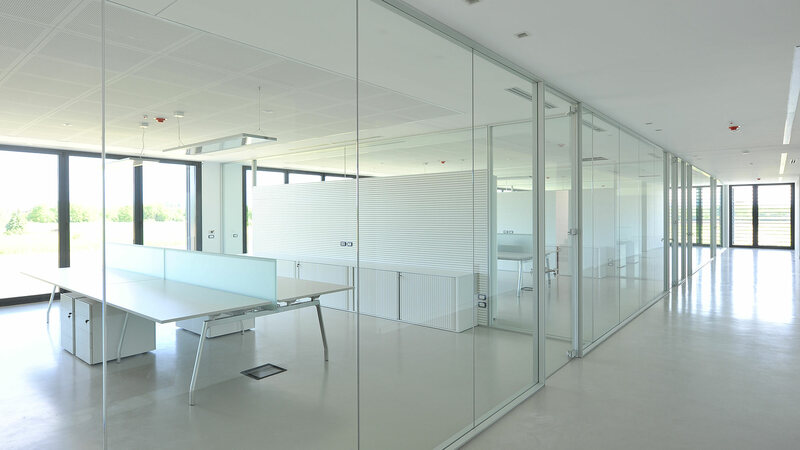 Metàfora offers 10 mm, 12 mm or 16 mm thicknesses of tempered and laminated glass panels. 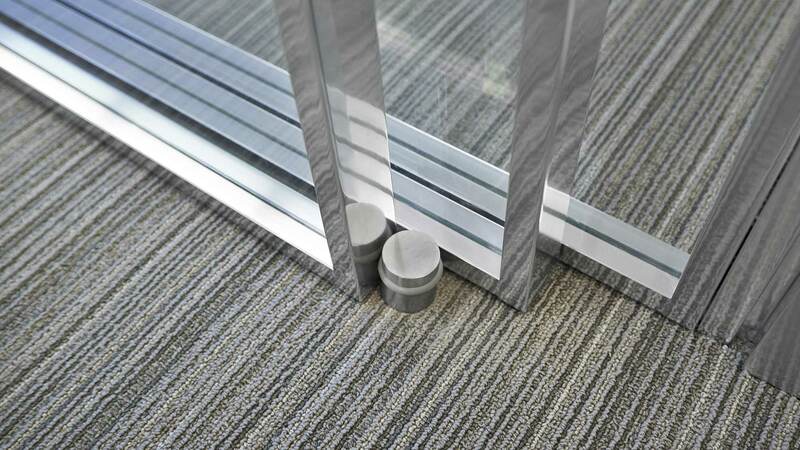 The system provides excellent acoustic properties and is certified to resist impact. 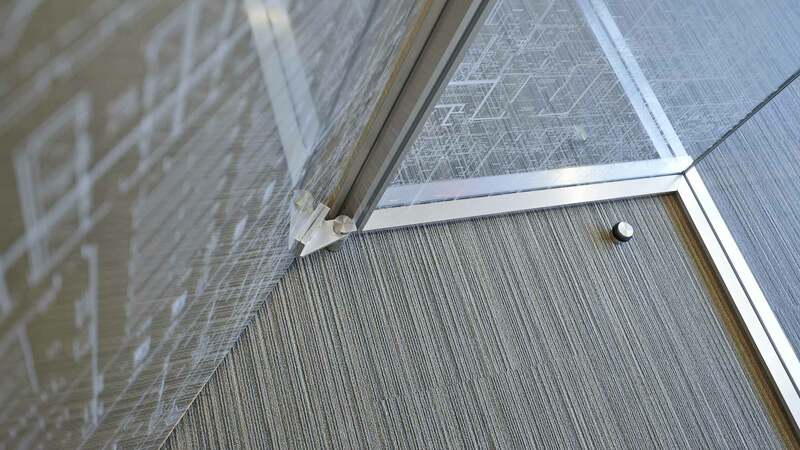 The extremely small tolerance contributes to a unique architectural design. 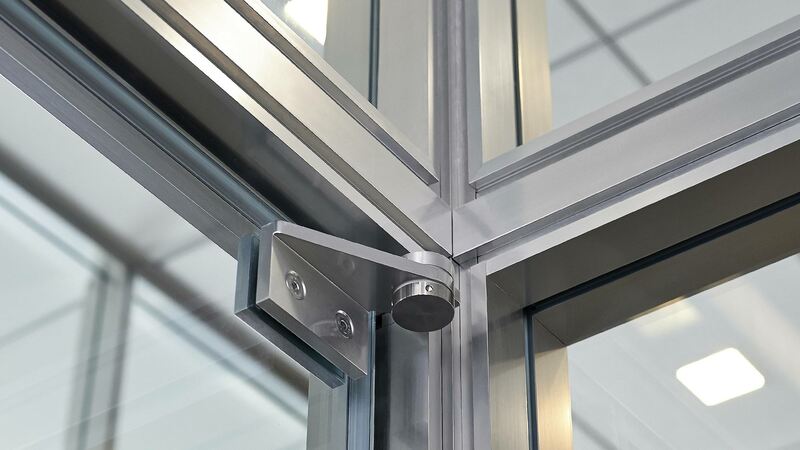 2, 3 or 4-way connections, fixed or variable, are utilized using patented profiles or structural posts depending on the aesthetic and constructional requirements. 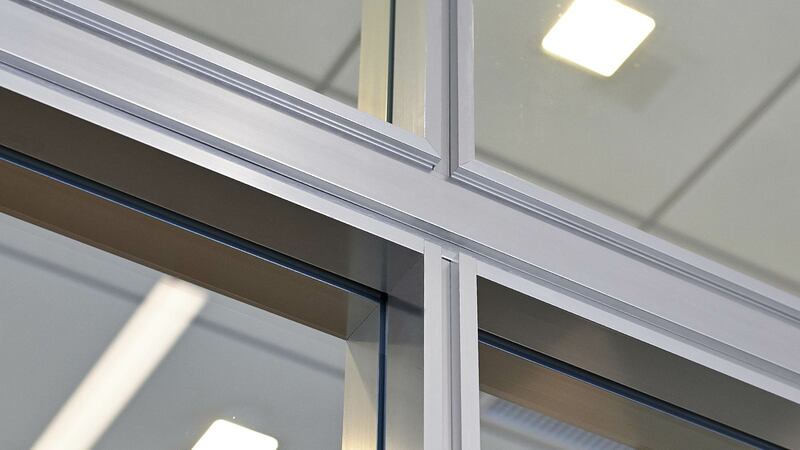 Connections between glass panels can also be performed without profiles by gluing the glass with a special strong bonding silicone adhesive. 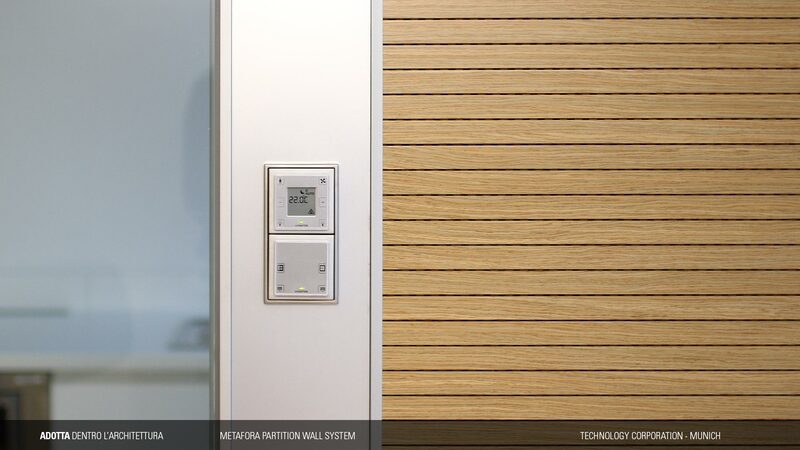 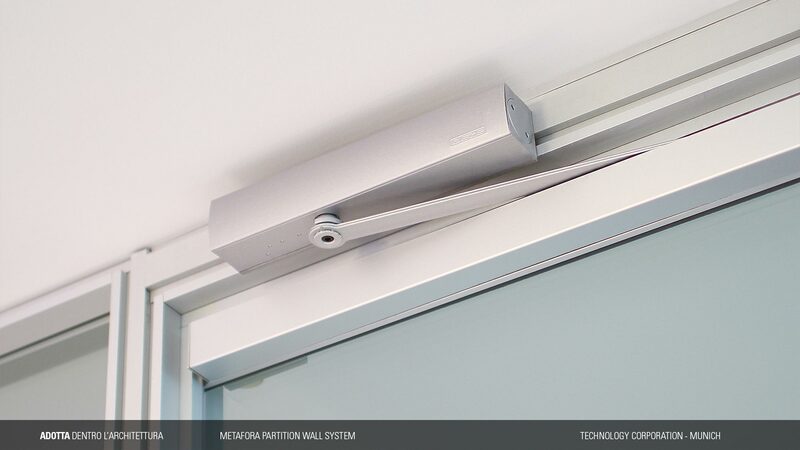 A service module, with a width of 150 mm, placed next to doors or between panels, enables the installation of any device into the partition system. 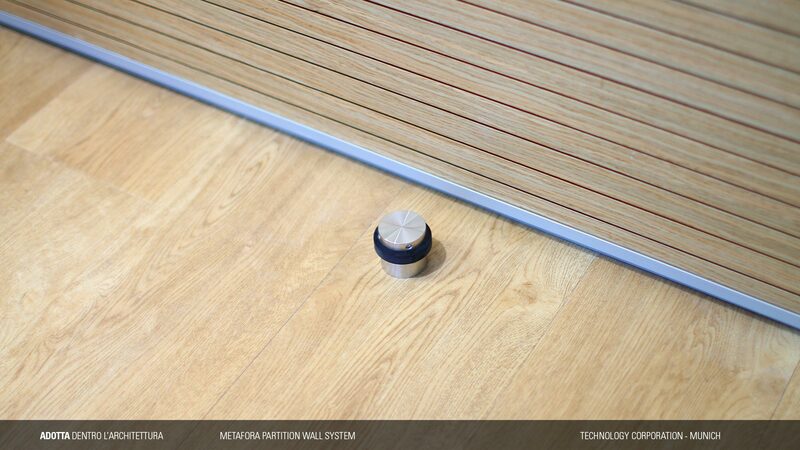 When properly adjusted, the aluminium closure panel can also be used as an element of an aeration grid. 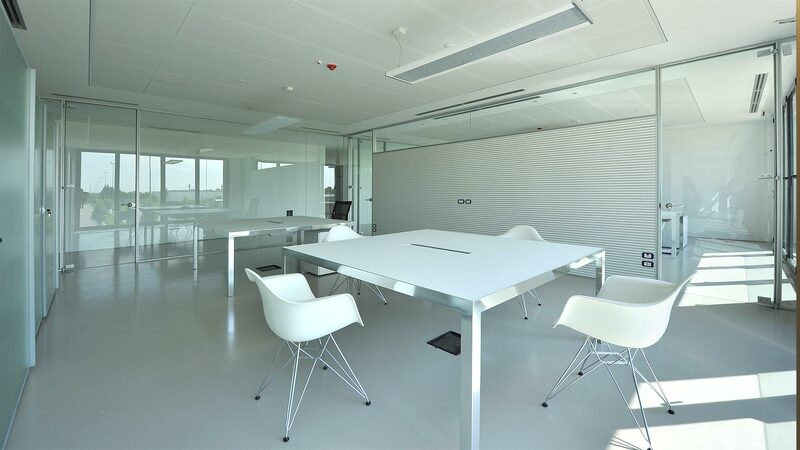 Adotta offers commercial production elements suitable for both American and European markets. 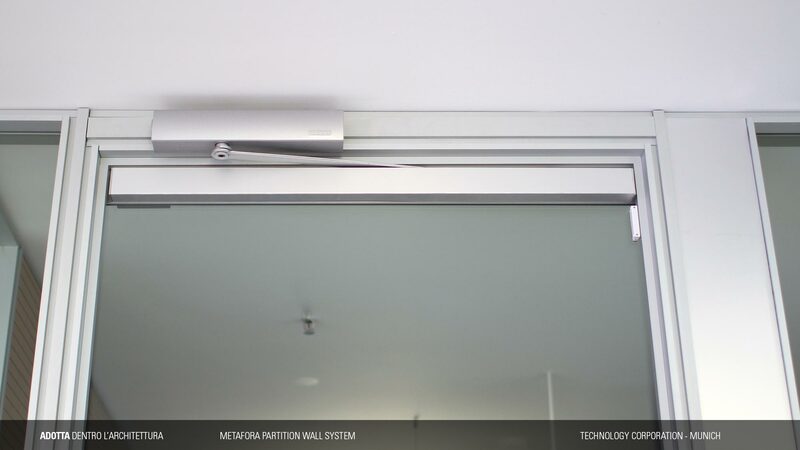 The flexibility of Metàfora allows adaptation and use of specific models, types and technologies required by the Client or the Architect. 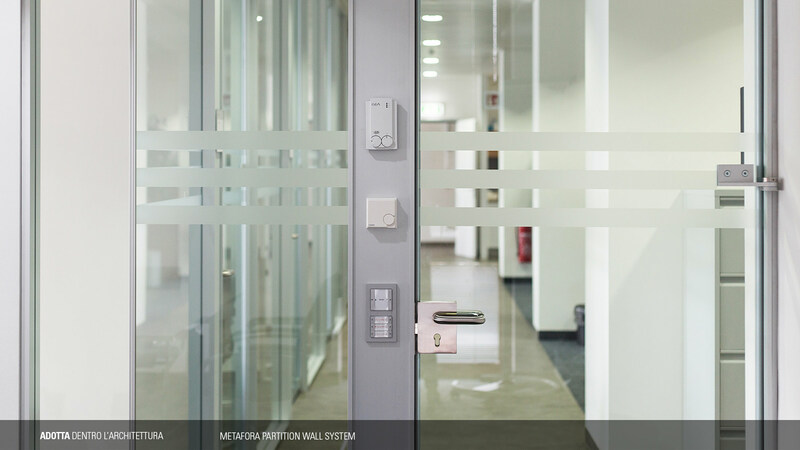 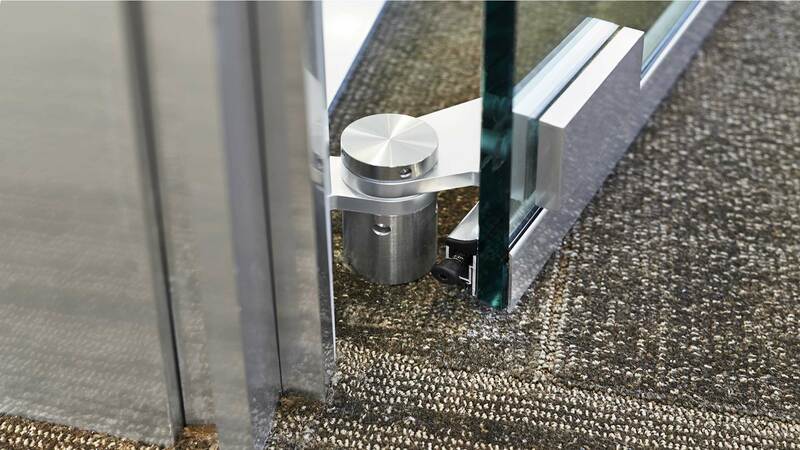 The firm has developed and improved over the years a patented set of hinges and door-stops for swing doors. 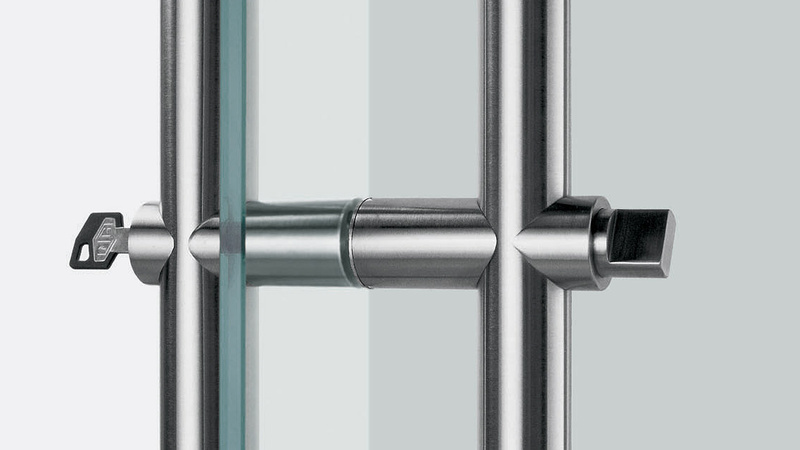 The products are certified for strength and opening cycles. 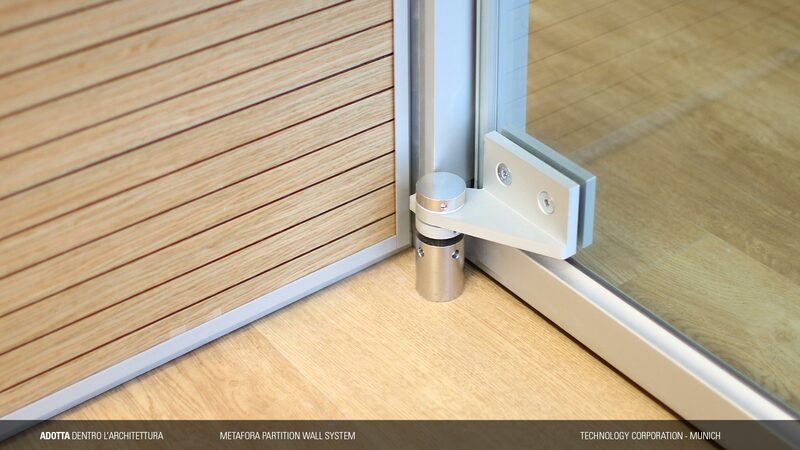 ADOTTA has modified its products to meet particular requirements of building regulations (ADA Regulation – Americans with Disabilities Act).